15mm Sci-fi bonanza. GOTA Clan urban forces. You’ll all think me a Khurasan fan-boy as here are some more. I am, but equally a fan-boy of many other creatives too. It’s just the way they’ve been picked up to paint. These are more military than the others. 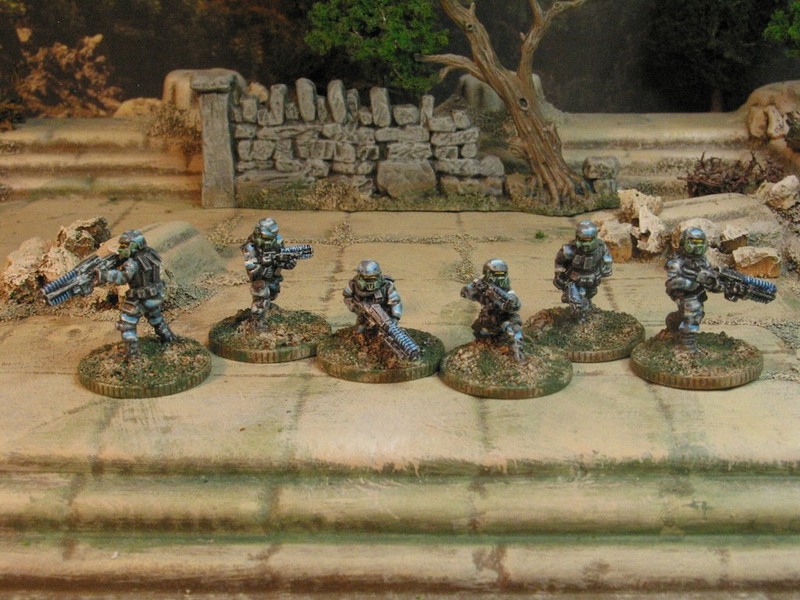 I’d read on a blog how tricky urban camouflage was to pull off at 15mm so had to have a bash. I’m very happy with the result. The first squad are identified by their ‘NATO’ helmets. 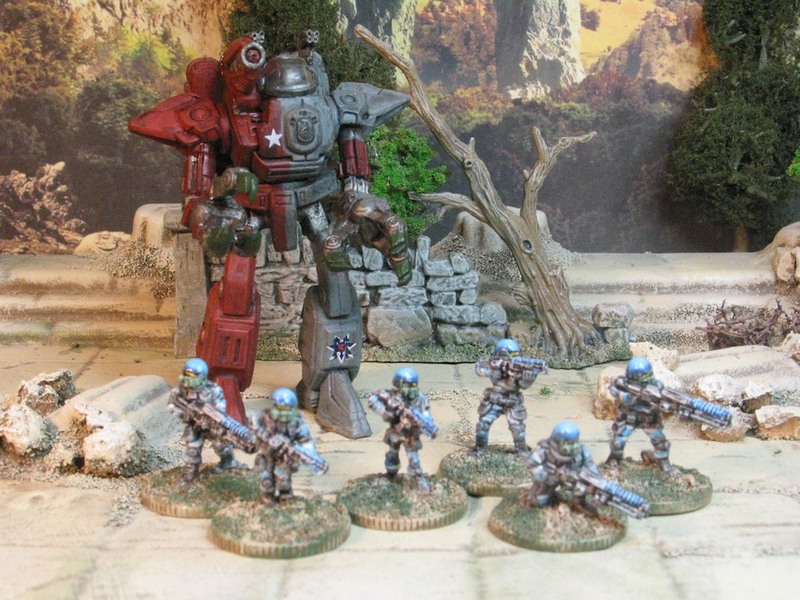 The mech is a straight up BattleMech and the transport a repaint Hotwheels which I’ve seen many gamers use – because it’s really good! 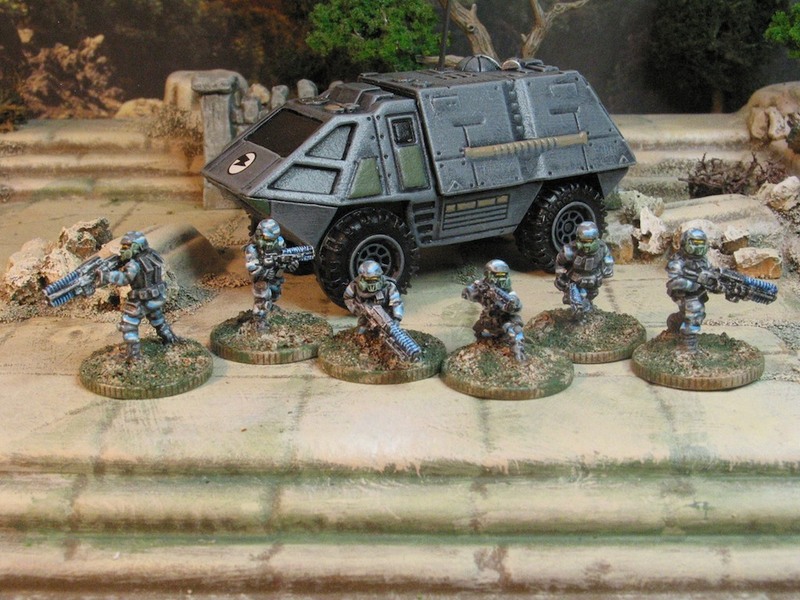 Previous Post15mm Sci-fi bonanza. 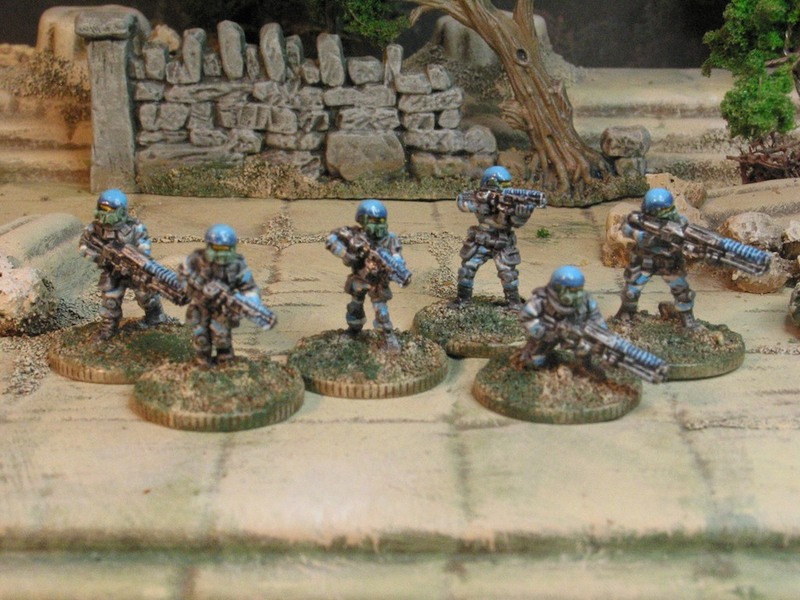 Out of this World Bounty Hunters.Next Post15mm sci-fi bonanza. Got to have Police!